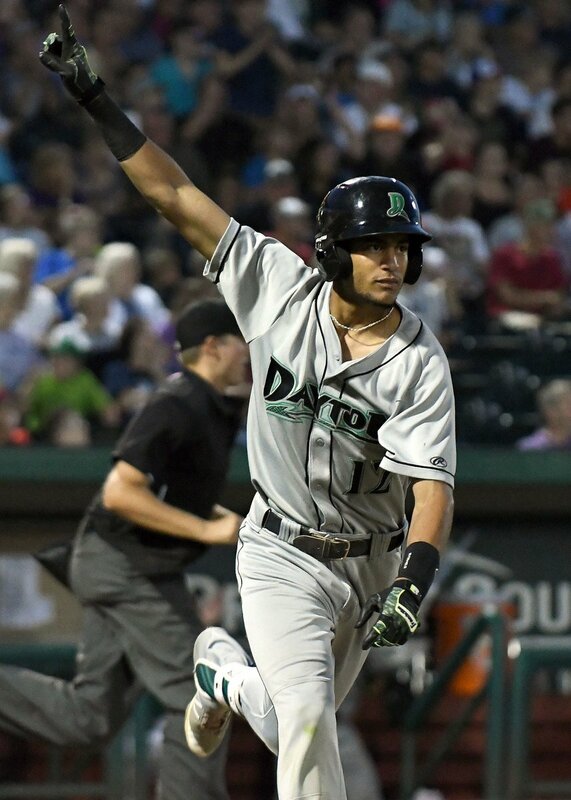 Former Dayton Dragons outfielder Jose Siri was named the MVP of the Dominican Winter League finals for his red-hot performance at the plate during the six games his team needed to win the best-of-nine series. The Cincinnati Reds prospect batted .591 (13-for-22) with one homer, three doubles, six runs batted in, six runs scored, and five stolen bases for the Estrellas Orientales as the team won five of the six games to earn its first Winter League title since 1968. He drove in the go-ahead run in the final game of the series. Siri played 153 games in the Midwest League, cumulatively batting .272 with 24 homers, 11 triples, 27 doubles, 79 RBI and 49 stolen bases for the 2016-17 Dragons. During the 2017 season, he set a new MWL record by hitting safely in 39 consecutive games, and became only the third Midwest Leaguer to hit 20 homers and steal 40 bases in a single season. Siri split the 2018 season between Cincinnati’s High-A and Double-A affiliates, cumulatively batting .239 with 13 homers, 11 triples, 17 doubles, 43 RBI and 23 stolen bases in 96 games after missing the first month of the season due to a thumb injury suffered during spring training.